These are the standard cement tile colors available for our Marrakesh Collection of custom cement tile with primary availability in the United Kingdom and Europe. 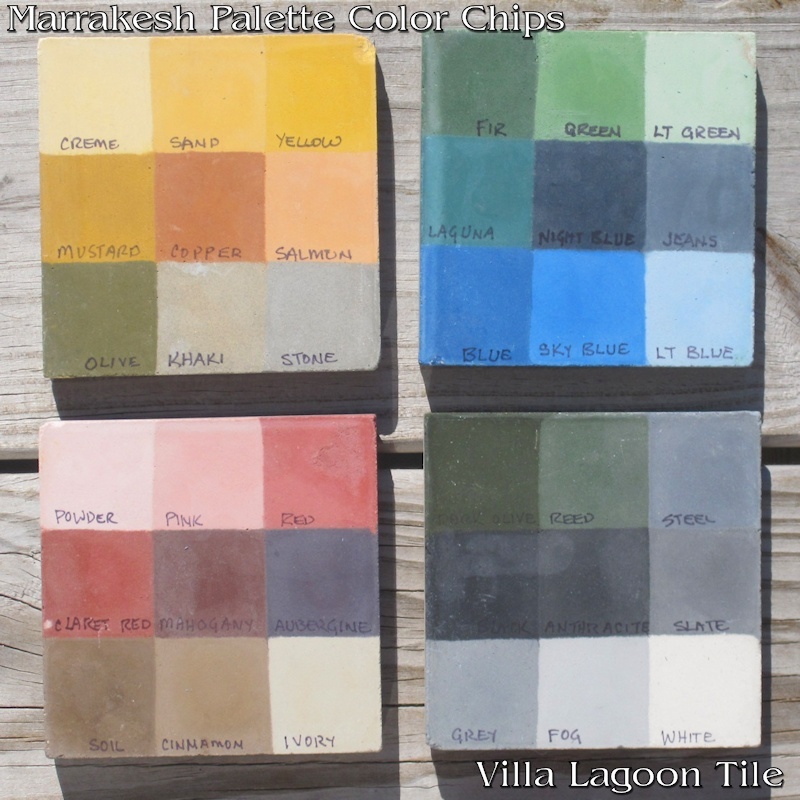 These are also the same colors used in our tiles In-Stock for Europe and the UK, as well as some of our American In-Stock Cement Tiles, that ship from Gulf Shores, AL. Click the photo below to see it really big. Of course the colors develop more depth and beauty once they are sealed, waxed and polished. If you want the dusty Moroccan tile look, just seal them and do not polish.